Having scaled and sold his chocolatey pudding business Gü Puds for an estimated £32.5m, James Averdieck is back in the food market but this time with a far more nutritious product – ‘healthy’, free-from yoghurts. 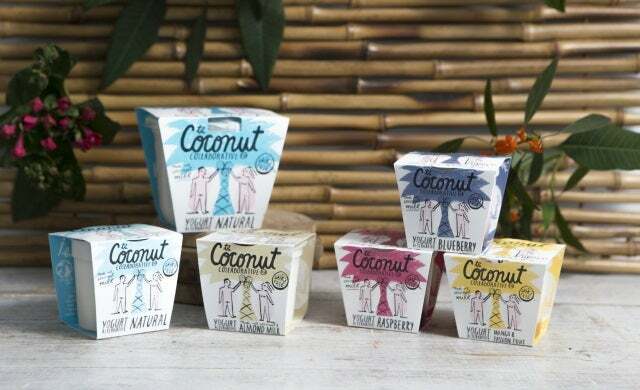 Launched in 2014 by Averdieck with founders Ian Drury and Steve Bassant, The Coconut Collaborative specialises in dairy-free, soya-free and gluten-free yoghurts made from coconut milk with flavours such as blueberry, mango and almond. Promising to provide “love at first spoonful”, the brand also acts as a social enterprise by planting coconut trees, helping coconut farmers and supporting charities. It’s an unlikely scenario; a premium, indulgent dessert maker launching a healthy rival but Averdieck clearly has the ingredients for success. His yoghurt range, which is said to have half the fat and calories of a Gü Pud, can already be seen on the shelves of top supermarkets such as Waitrose and Wholefoods and a dairy-free chocolate version called Little Choc Puds is currently being rolled-out.